This internet has really gotten the best of me. As I down my 2nd cup of coffee, Adam is still asleep and Eunee is on my lap… I stumbled upon The Tiny House Blog. For those of you who know us, may know that we have been talking more and more about having a baby sometime in the near future. Well, my nesting craziness must be in full gear (at least that is what I have heard it is called) I am cooking way more than normal, reorganizing the house on a daily basis(all 350 sq.ft) in a much more intense way than normal and dreaming of where on earth I want to end up and in what kind of a home. Adam and I talk often and have decided at least at the moment that we definitely want an open space. The idea of small and multifunctional is a must for us. We have learned that we don’t need a lot of space, we would like enough space though to live comfortably with a child and of course have a guest room for company…but we are not in need of anything in excess. 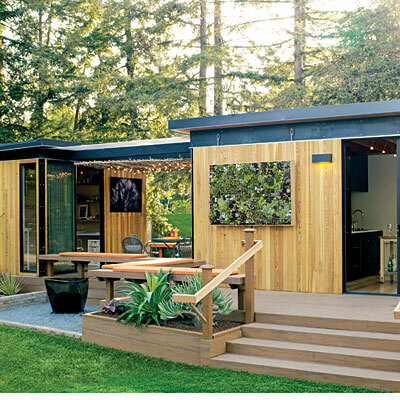 This my friends is a Modern Cabana. 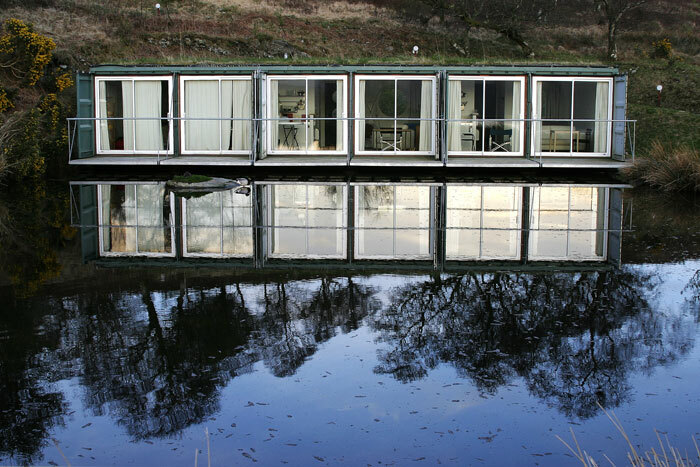 It is bascially 2 or 3 prefab boxes placed nearby connected by pathways. I can already imagine having an eating space and kitchen in one, a living space and guest bedroom in another, a master bedroom in another..all connected by beautiful walkways. (I can hear the question already…what about rain or snow…as for snow… I won’t be living anywhere near snow so don’t worry about that one, and as for the rain..bring on the nature!) Each one runs between $11,000 and $30,000 depending on the size and windows etc. that you want. 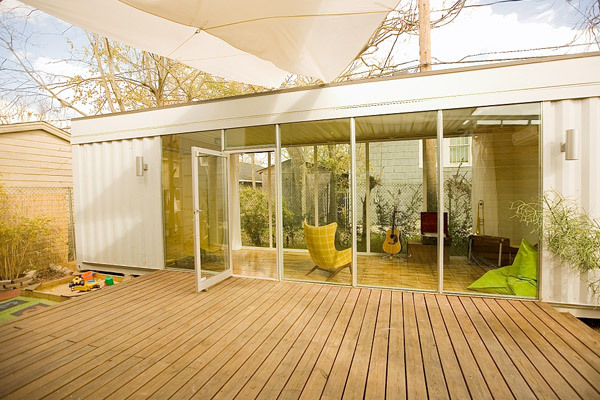 Another option is a shipping container house. They appear very similar to this box house idea. I kind of love it as well! Numen has some amazing photos and floor plans. There are no official prices, but their site says that a house runs between $100 sq/ft to $150 sq/ft. I am in love with the idea of windows and nature and I know Adam is too. Put a little deck on that baby, grow a garden out back, get some canoes! So someday, when we find the right place, have saved up a bit more money and are ready to make a forever home… the ideas are all stored (no pun intended) and so ready to go! Are you planning on this house being in Korea or somewhere else? ?